No Man's Sky wasn't exactly a success on release. Sure, it seemed to sell well and generate a lot of discussion, but an overwhelming majority of that discussion was on whether or not the developers delivered on what they promised. Such an incredible number of words were written about what was or was not promised, and was or was not delivered, that the developers essentially dropped the game and disappeared from public eye, quietly updating and improving it until we reached this most recent update. It was enough of a leap to warrant a release on a new platform (Xbox One), and a new name, No Man's Sky Next. However, it doesn't exactly fix what made No Man's Sky a disappointment. In No Man's Sky, you are a solitary explorer in an infinite galaxy. 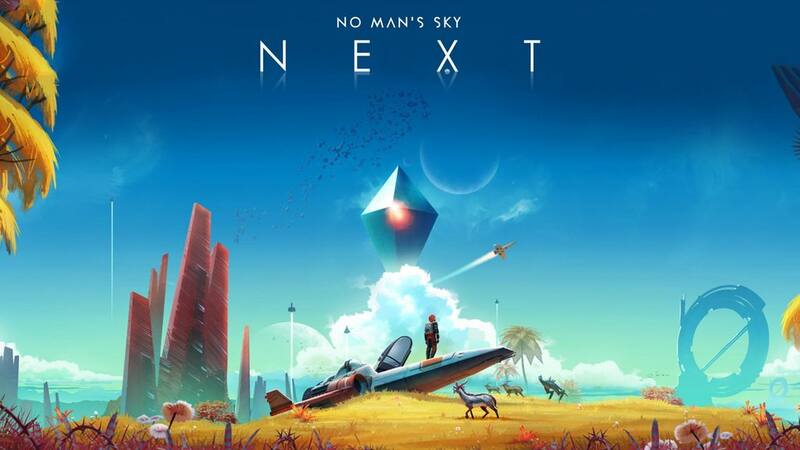 The game pushes technological boundaries by providing an almost limitless number of planets to explore, with almost limitless numbers of aliens, plants, and minerals on those planets. And before the Next update, that was about it. Over the course of two years, and including the Next update, the game added the ability to build a base, manage a fleet of frigates, interact with other people through online multiplayer, and offered a handful of quests with storylines to follow. The base game just kind of pointed you to the center of the galaxy, but now there are things to do in this universe. Unfortunately, it's still not much of a game. The bulk of my time was spent filling meters and watching them slowly tick down while I tried to accomplish the meager and sometimes unclear goals the quests gave me. There are so many planets to explore that none of them seem particularly noteworthy until you land on a nasty one that is hostile to almost all life and you're low on resources. Then I spent too much time scraping enough bits and pieces together just to get off the planet and hope the next one I landed on wasn't such a hellhole. Every planet has a universal system of space police that seem to serve only to annoy you. If you mine resources in front of them, they attack. If you fight back, they summon reinforcements, escalating in number and size, never backing down. The only way to escape them was to literally run into any building and hide. I did this all for about 20 hours, on top of the 10 I spent on the original release, before I gave up entirely. I had built myself a sizeable base on the least hostile planet I could find, but I still couldn't find the point in continuing to play this game. It's barely fun and barely a game at all.